Indoor grills and griddles are a wonderful way to enjoy the taste and simplicity of BBQ cooking all year round, and they are incredibly safe when observing just a few proper safety precautions. The CPSC’s National Electronic Injury Surveillance System (NEISS) estimates that there were nearly 3,000 reported cases of injuries to children under the age of 18 caused by electric (and otherwise unspecified) grills that were treated in hospital in the United States in 2014. The number of actual injuries is likely to be quite higher than this, as the data from the CPSC reporting system only looked at those injuries which resulted in medical treatment at one of 100 participating hospitals, and minor injuries were likely treated at home or another medical treatment facility not included in the reporting data. Never leave your indoor grill unattended as fires and burns can happen very quickly. Don’t allow children to use an electric grill without proper supervision. By trimming excess fat from your meats, you’ll reduce the amount of smoke produced when cooking indoors. For this reason, it’s a good idea to use indoor grills near a kitchen widow or vent. It’s also a good idea to keep a fire extinguisher on hand in case of emergencies. 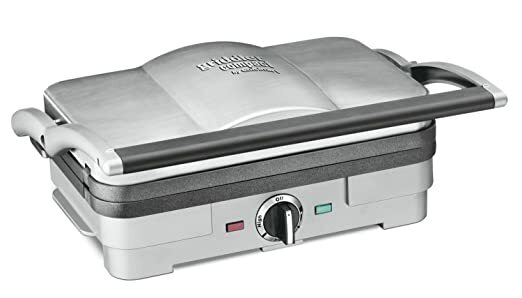 With the above tips in mind, in no particular order, here are 50 of the indoor grills and griddles we consider to be the safest, based on available features and average customer reviews and ratings. 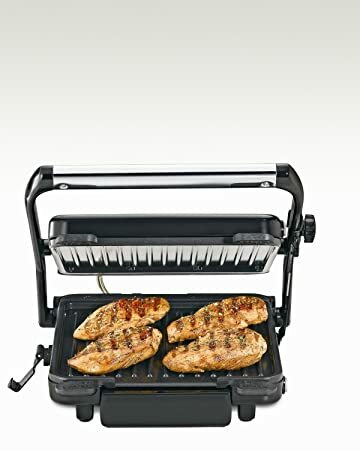 This indoor grill, which many others are measured against, comes in a choice of several packages, including one with utensils and another with interchangeable waffle plates. 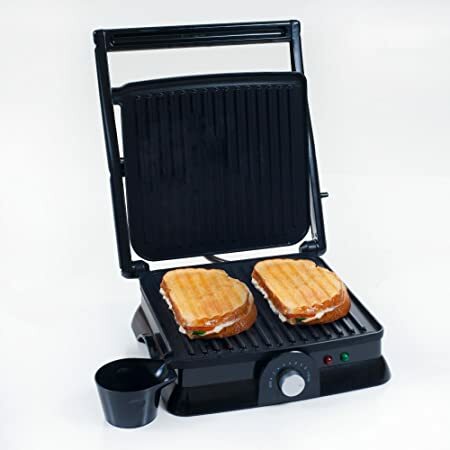 It offers a 5-in-1 solution for all indoor cooking needs including use as a contact grill, panini press, full grill, full griddle and half grill/half griddle. 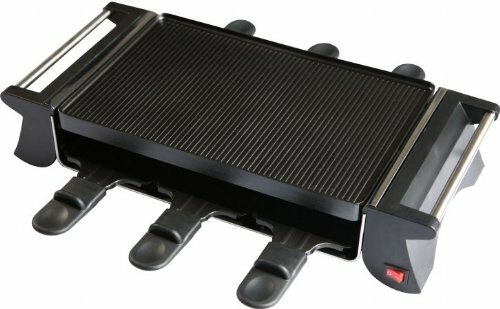 This indoor grill evenly distributes heat for a superior cooking result that’s both healthy and delicious. A tempered glass lid is included to help prevent splatter and keep moisture and juices in your food. 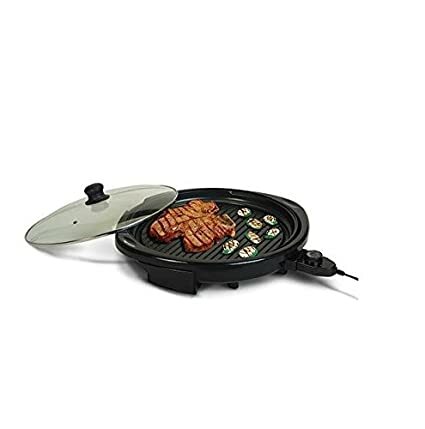 One of the most popular indoor grills, the Foreman is available in a choice of two color options and can cook up to 4 meals at a time in less than 10 minutes! This unit features a faster heat up time and more durable coating than previous models. This indoor grill features a cooking surface that’s large enough to handle up to 4 burgers at a time and comes complete with a floating hinge to accommodate thicker cuts of meat. The non-stick plates make for quick and easy cleanup. 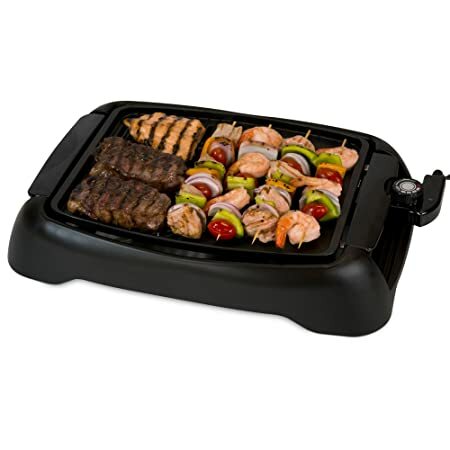 This indoor grill features a non-stick cooking surface that eliminates the need for oil and makes cleanup a breeze. 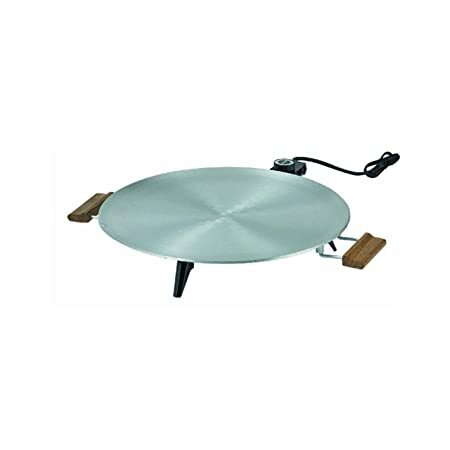 It provides 110 inches of quick-cooking surface and a removable drip tray to catch any excess grease. This indoor grill offers a smokeless cooking design and has a cooking surface that is large enough to prepare meals for the whole family. The adjustable thermostat control makes it easy to select the perfect temperature for nearly every food. 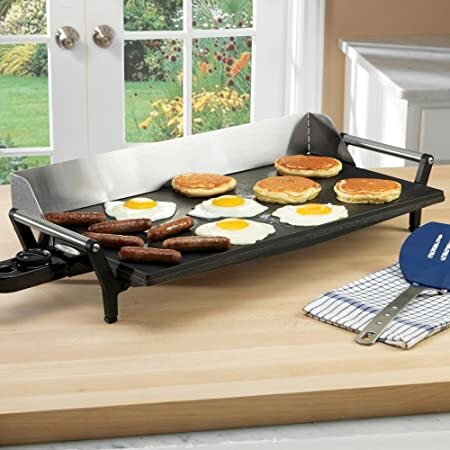 This griddle features a deluxe stainless steel design and cooking plates that are removable and reversible to handle a variety of foods. The dual zone temperature control provides even more precision cooking power. 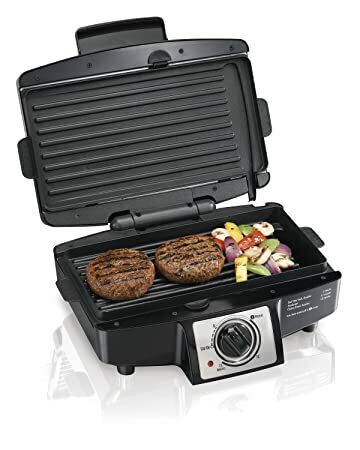 With 85 inches of non-stick cooking surface, this indoor grill can handle up to 6 burgers at a time and features a floating lid that’s great for cooking meats of varying thickness. 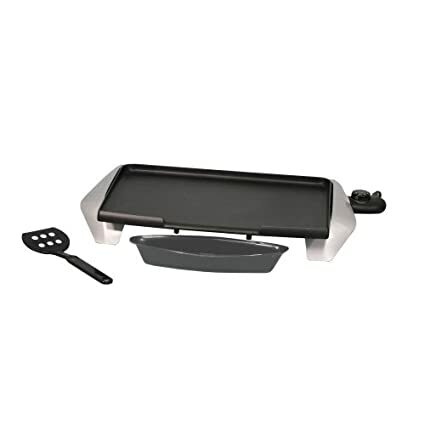 This indoor griddle features a compact cooking surface that’s non-stick for easy release and cleanup. Thanks to its cast aluminum construction, it distributes heat quickly and evenly for the perfect cooking experience every time. 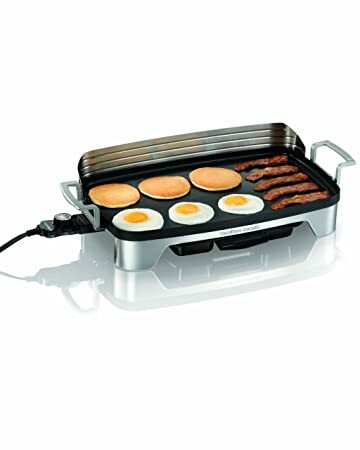 Suitable for any time of day, this electric griddle features a non-stick cooking surface for easy release and cleanup. The cast aluminum base won’t warp no matter how hot the grill pan gets and a built-in backstop ledge makes it easy to cook and flip your foods. 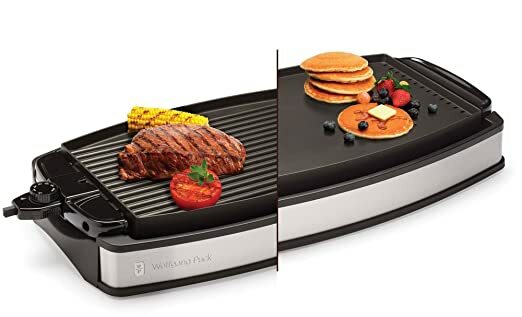 This indoor grill from Wolfgang Puck features reversible plates that allow it to be used as both a griddle and grill and features an adjustable temperature control for precise cooking every time. 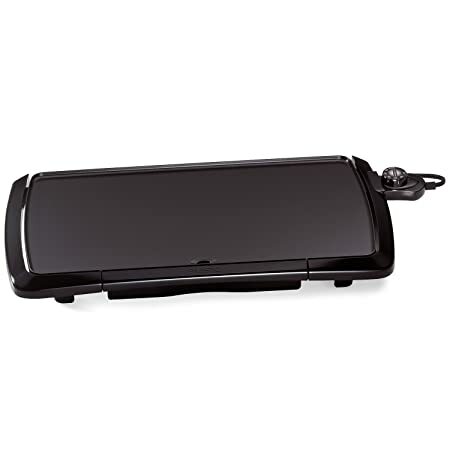 This basic electric griddler features a premium non-stick surface that makes cooking and cleanup a breeze and boasts a slide-out drip tray for easy cleanup when cooking is over. Thanks to the built-in backstop ledge on this electric griddle, cooking is even easier. The premium non-stick surface makes for quick-release cooking and cleanup and is large enough for family cooking. 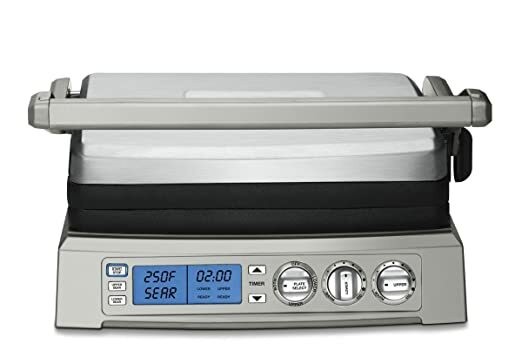 This electric grill provides users with up to 6 different cooking options in one – a contact grill, Panini press, full griddle, full grill, half grill/half griddle and top melt for the ultimate cooking experience in one small package. 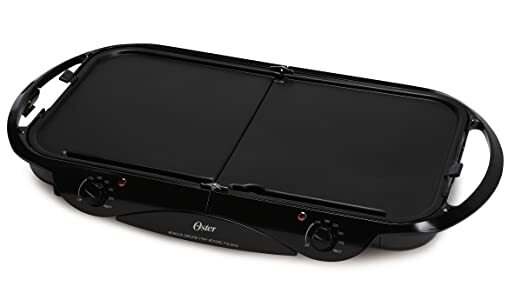 Thanks to its generous size, this electric indoor griddle is perfect for cooking up family-sized meals and features a premium non-stick surface that makes both cooking and cleanup a breeze. 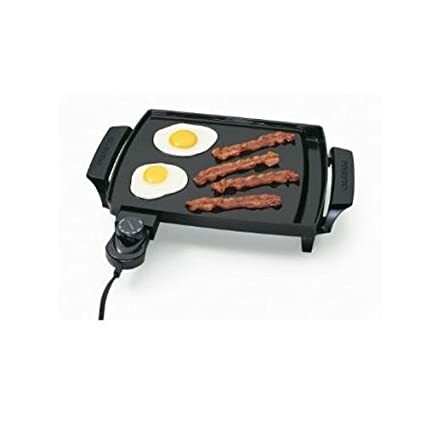 This electric griddle is fully immersible and dishwasher safe once the temperature control is unplugged and features a non-stick surface for easy cooking and cleanup. It can easily be stored in a standard kitchen drawer or on the countertop. This electric grill boasts a large cooking surface that’s ideal for preparing a number of foods or family-sized meals quickly and easily. The large anti-splatter guard at the rear helps prevent messes. 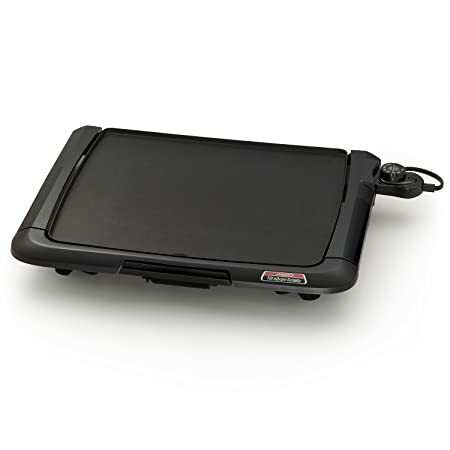 This non-stick griddle is easily portable for quick and convenient cooking nearly anywhere you need it. The large rear splatter guard helps prevent messes and the immersible base makes for easy cleanup. 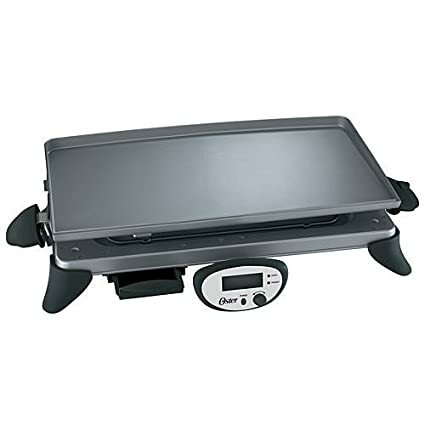 With a large cooking surface, this electric griddle is perfect for cooking up large family meals. The premium non-stick surface makes cooking and cleanup a breeze and the heat control helps maintain a steady temperature for the perfect cooking experience, every time. 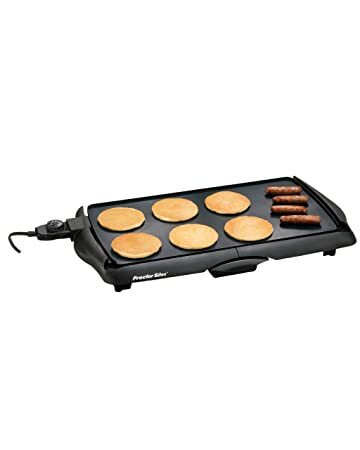 This griddle features a premium non-stick cooking surface for quick and easy cooking and cleanup and comes with a cool-touch base for increased safety. Fully immersible for easy cleaning. 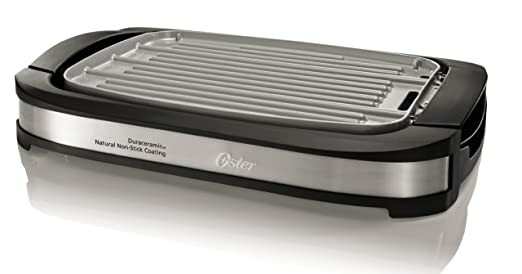 Thanks to its ceramic, non-stick coating, this indoor grill won’t flake or peel after years of use and has been shown to last up to 4 times longer than other grill plates. Cool-touch handles provide increased safety. 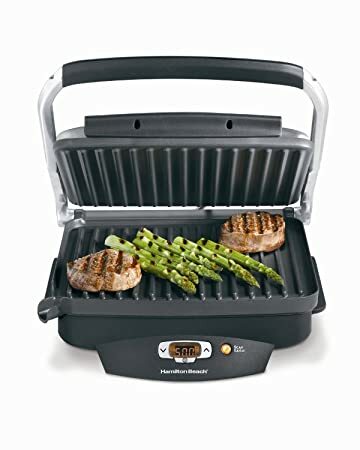 Available in a choice of two color options, this indoor grill features 5 adjustable temperature settings and a non-stick cooking surface to help give you the perfect cooking experience every time. 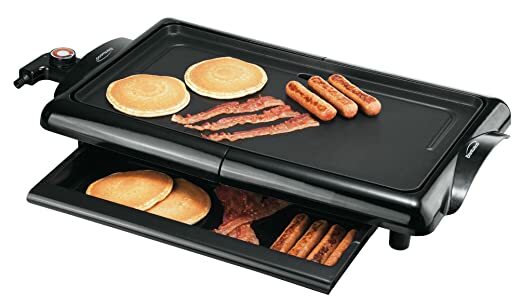 This electric griddle features a non-stick cooking surface that’s easy to use and clean and features an efficient square design to maximize cooking space. It’s surrounded by a cool-touch base for increased safety and comes with a 1 year warranty. 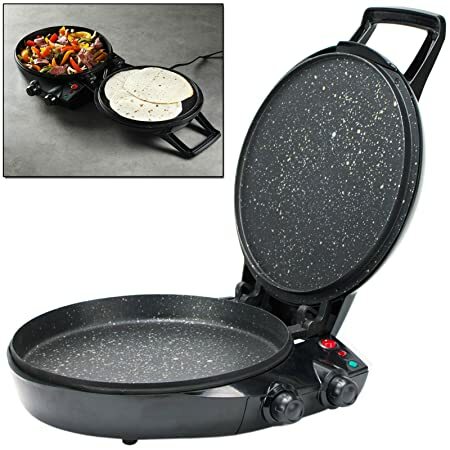 This electric indoor grill boasts a heavy cast aluminum construction for a durable and long-lasting cooking experience and is 16 inches round. This indoor grill offers a 3-in-1 cooking experience – grill, slow cooker, and steamer – for the ultimate cooking package in a compact design. The raised grilling surface allows excess fat to drip away as your meal cooks and its deep capacity means less chance for mess. 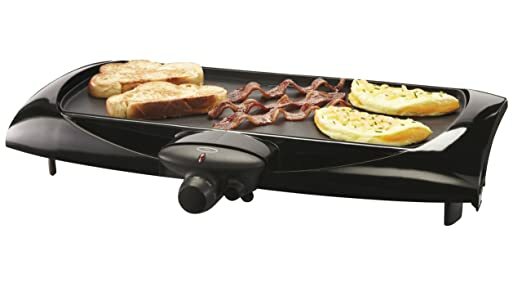 This electric griddle features an extra-large cooking surface that can handle up to 12 slices of French toast at a time and boasts a premium non-stick cooking surface for easy cooking and cleanup. 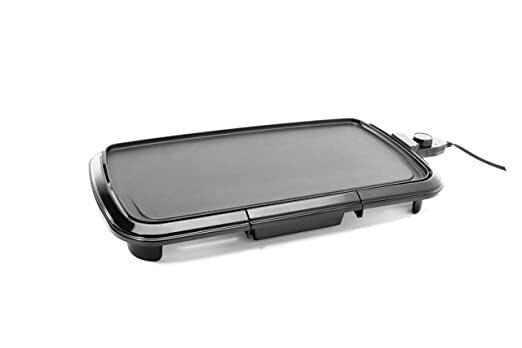 Available in a choice of two different models, this indoor griddle features removable, dishwasher-safe plates that make cleanup quick and easy. 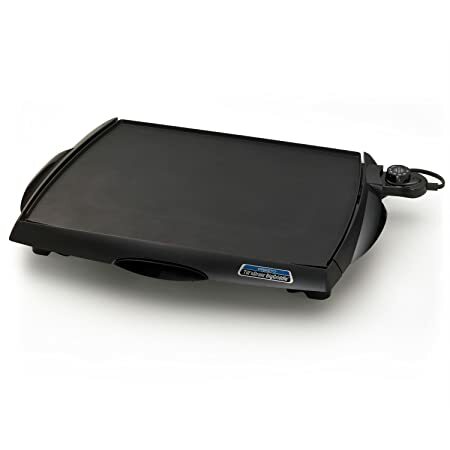 This electric griddle is family-sized to handle large amounts of food at once and has a non-stick cooking surface for quick and easy cleanup. 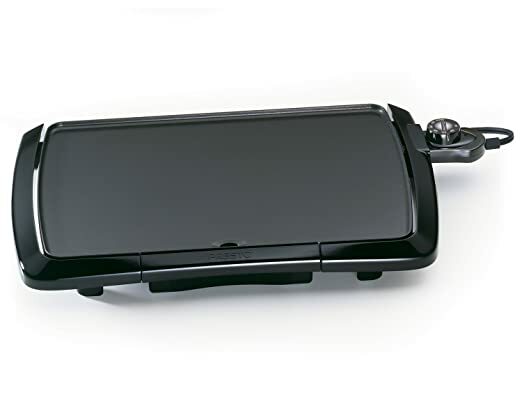 Thanks to its removable and dishwasher-safe, non-stick plates, this indoor griddle makes cooking and cleanup quick and easy and is large enough to handle any number of cooking tasks you can throw at it. 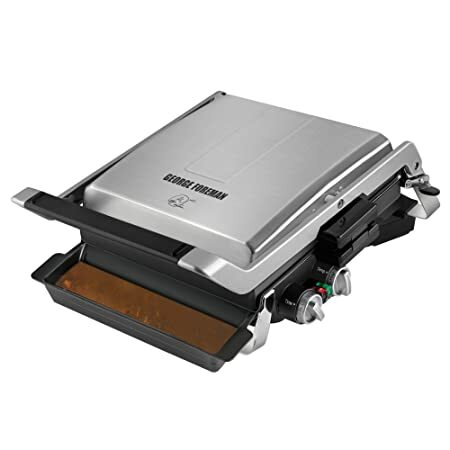 This premium electric griddle is large enough for family gatherings and big meals and features a convenient warming tray under the main grill to help keep food at a safe temperature until everyone’s ready to eat. 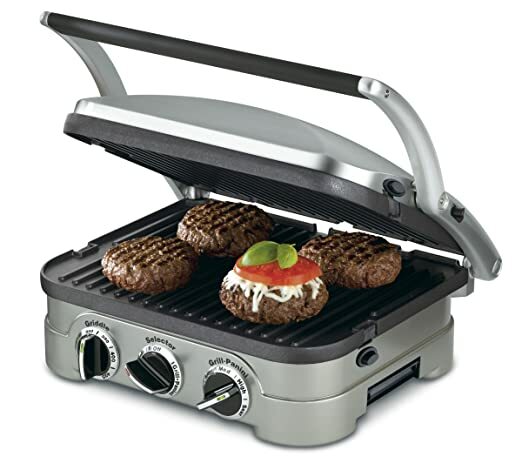 This 6-in-1 electric grill functions as a cooker, searer, electric grill, steamer, and pizza cooker in one – plus more! Thanks to its unique design it functions as a mini-oven when closed, providing 360 degree directional cooking. This electric grill boasts a non-stick cooking surface for easy cooking and quick cleanup and comes in a sassy red color. Dual heating zones make for faster cooking times. 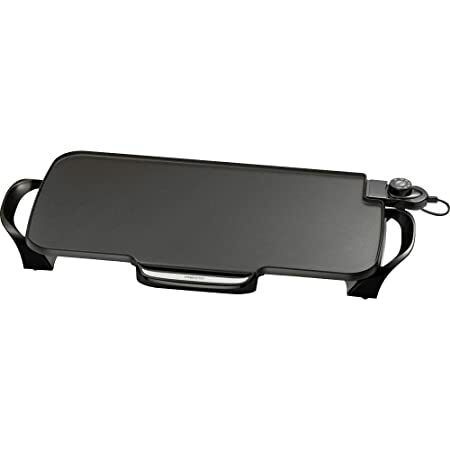 This extra large griddle is perfect for family meals and get-togethers with friends and boasts a heavy cast aluminum non-stick surface that is fully immersible for quick and easy cleanup. 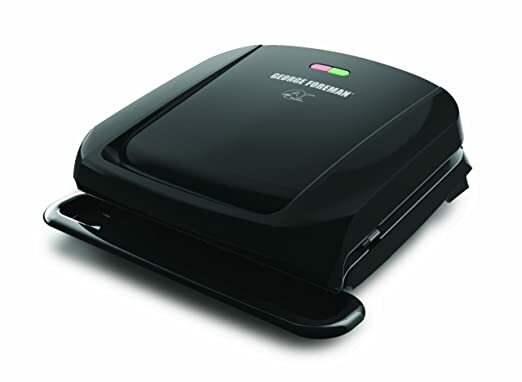 This George Foreman electric grill is large enough to cook up to 6 servings at a time and features a patented slope design to drain away excess fat and grease into the removable, dishwasher-safe drip tray. 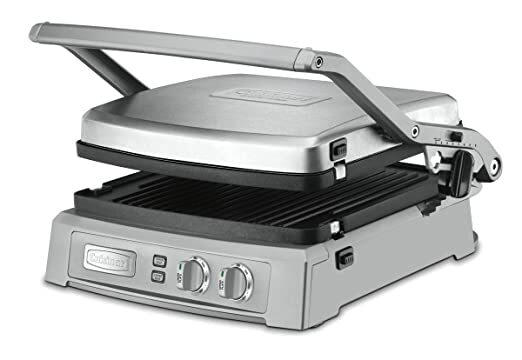 This electric grill comes complete with 2 removable and dishwasher-safe die-cast aluminum grill plates and single removable and dishwasher-safe die-cast aluminum griddle plate to provide your family with multiple cooking options. 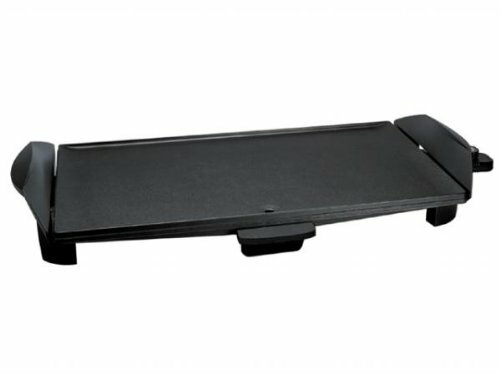 This griddle is the perfect miniature size for cooking for one or two and for storing. The deluxe, non-stick finish makes for easy cooking and cleanup. 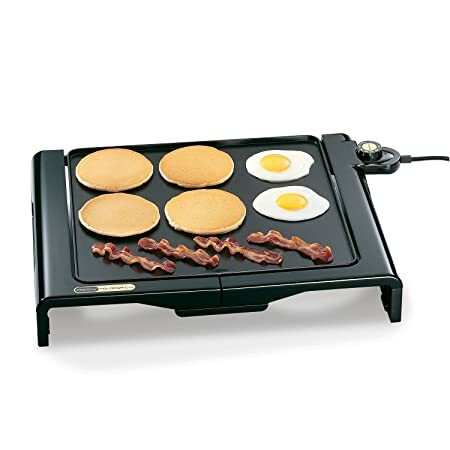 This electric griddle features a non-stick cooking surface for easy cooking and quick cleanup. The adjustable thermostat control makes finding the perfect temperature easy, and the indicator light lets you know it’s working. This dual-sided electric grill features a raised and smooth cooking surface that’s perfect for almost any meal you want to whip up. The embedded heating element makes for quick and even heat distribution. 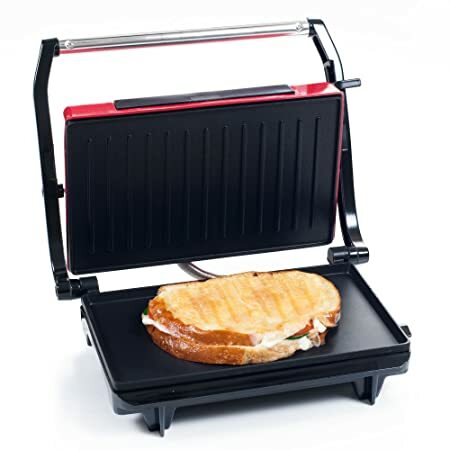 This electric grill and panini plate features a non-stick cooking surface for quick and easy cooking and cleanup and features dual zone heating for faster cooking times and a hinge release system that allows it to be used as an open grill. 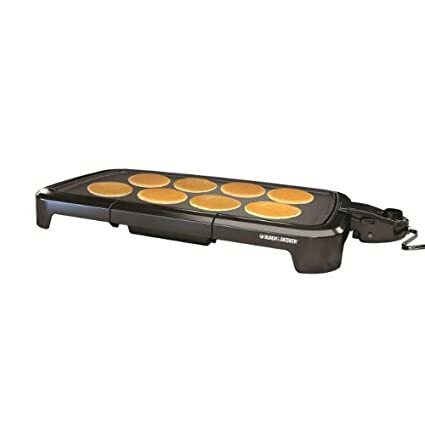 Available in a choice of two sizes to suit every family’s cooking needs, this electric griddle features a large, non-stick cooking surface that makes for easy cleanup. 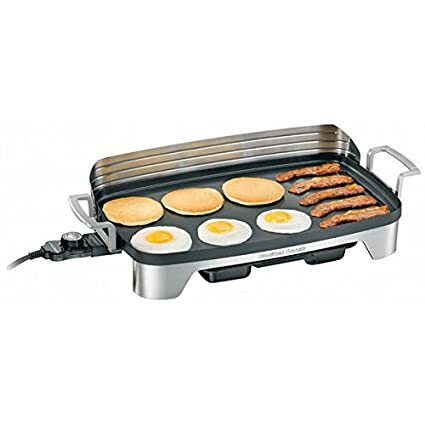 This electric griddle features a built-in warming tray to keep meals warm until the entire family is ready to dig in. Thanks to its durable die-cast pan and handles, it’s built to last for years to come. This deluxe grill and griddle features removable, reversible plates that allow you to cook a wide variety of meals for the entire family. The non-stick cooking surface makes for quick and easy cleanup. 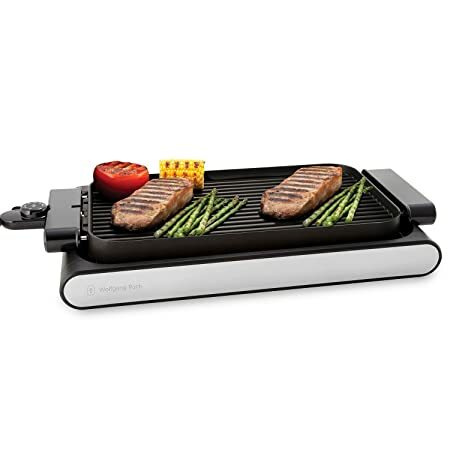 Available in a choice of colors to suit nearly any style, this indoor tabletop grill features a powerful heating element and non-stick cooking surface that makes for quick and easy cooking and cleanup. 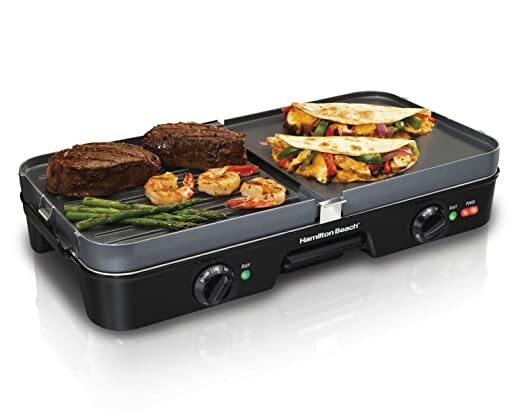 This 3-in-1 electric grill and griddle features two reversible, non-stick PFOA-free plates to handle nearly any cooking need. It is made in the USA, so it’s quality you can trust. This indoor grill is large enough to cook meals for up to 6 people at a time and can be used as both a grill or broiler to suit your cooking needs. 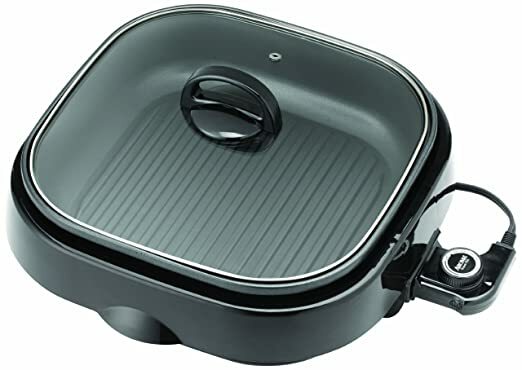 This compact grill offers up to 6 cooking options in one compact design and boasts removable and reversible dishwasher-safe non-stick cooking plates that make for easy cleanup and convenient storage. 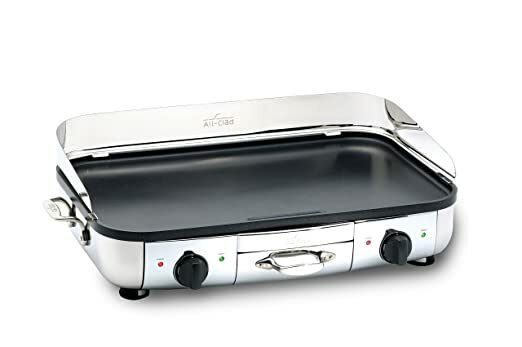 This electric griddle is the perfect size for families and features a non-stick aluminum die-cast plate that makes for easy cooking and cleanup. There is an integrated warming tray below to keep foods at a safe temperature until everyone is ready to eat. 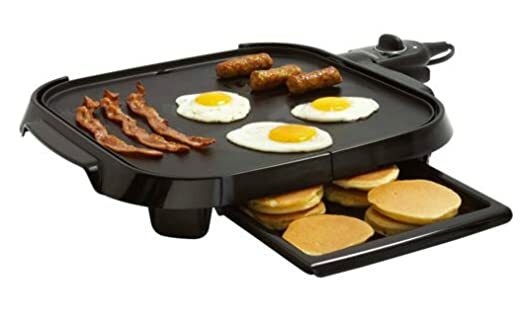 This electric griddle features a large cooking surface that’s perfect for families or get-togethers that is non-stick for easy cooking and cleanup. The cool-touch base and handles provide an extra level of safety when using. 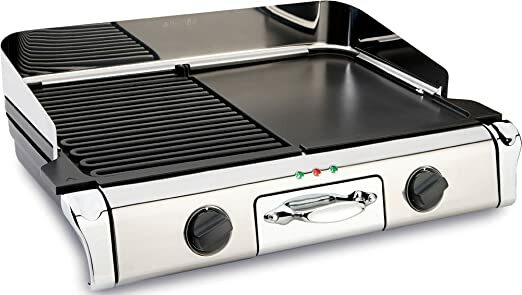 Thanks to its famous lean-friendly sloped design, this electric grill helps to channel away excess fat and grease from foods, making them healthier to eat. 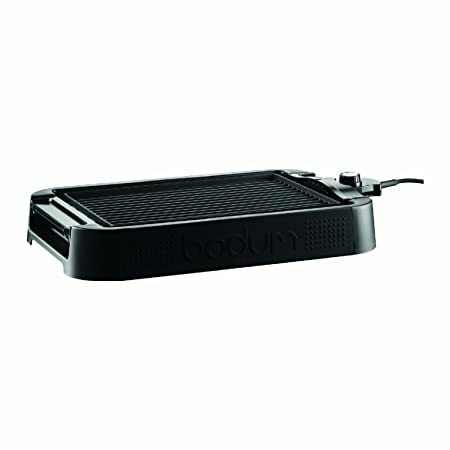 Thanks to its double-coated non-stick grill plate, food easily releases and is easy to clean off. 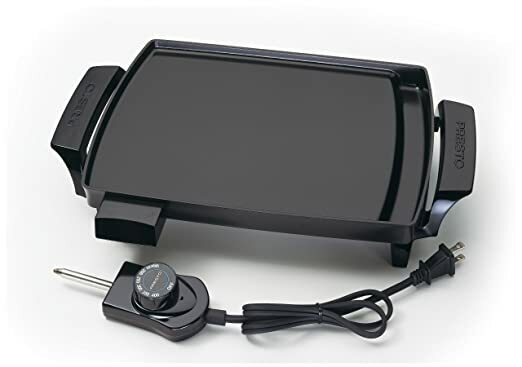 This electric griddle provides a large cooking surface that’s perfect for families or large get-togethers and is non-stick for easy release cooking and quick cleanup.